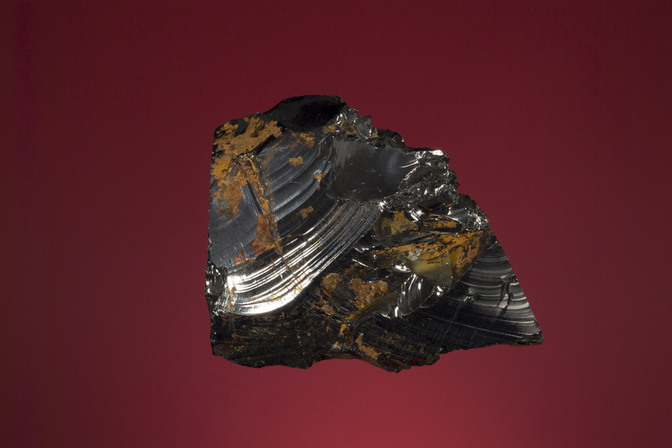 Shungite: Mineral information, data and localities. Shungite is elementary noncrystalline carbon with a metastable structure incapable of graphitization, it is also used as a term to describe a sequence of metamorphic rocks from the Karelia region of Russia containing such carbon. Trace amounts of fullerenes (0.0001 < 0.001%) have been reported from such rock (Mosin & Ignatov, 2013). 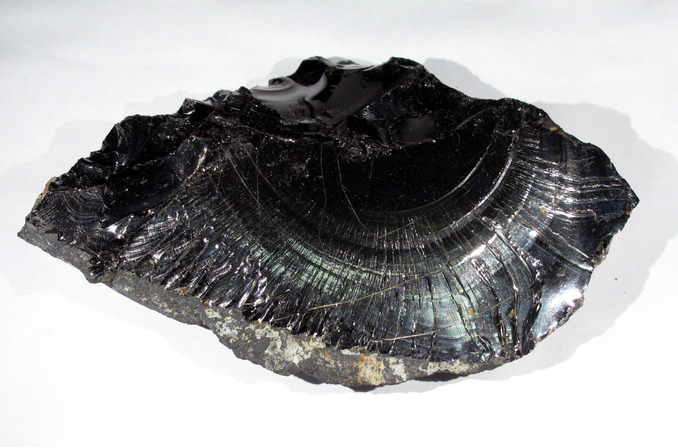 Shungite has a biogenic origin. Originally desribed from Shun'ga area, Shun'ga village, Onega lake, Karelia Republic, Northern Region, Russia. Fullerite 3 photos of Shungite associated with Fullerite on mindat.org. Palache, C., Berman, H., Frondel, C. (1944) The System of Mineralogy of James Dwight Dana and Edward Salisbury Dana Yale University 1837-1892, Volume I: Elements, Sulfides, Sulfosalts, Oxides. John Wiley and Sons, Inc., New York. 7th edition, revised and enlarged, 834pp. : 154. Marmo, V. (1953): Shungite - a pre-Cambrian carbon. Geol. Fören. Stockholm Forh., 75, 89. Khavari-Khorasani, G., Murchison, D.G. (1979) The nature of Karelian shungite. Chemical Geology: 26: 165-182. Heymann, D. (1995) Search for ancient fullerenes in anthraxolite, shungite, and thucolite. Carbon: 33(2): 237-239. Gu, Y. et al. (1995) Fullerenes and shungite. Carbon: 33(6): 862-863. Hettich, R.L, Buseck, P.R. (1996) Concerning fullerenes in shungite. Carbon: 34(5): 685-687. Mastalerz M., Glikson M., Stankiewicz B.A., Volkova I.B., Bustin R.M. 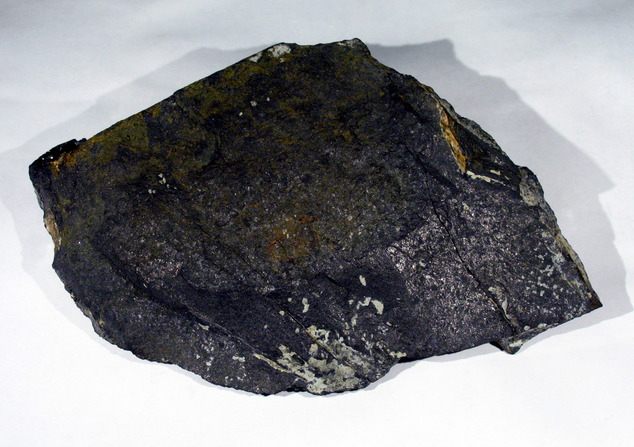 (2000): Organic and mineral matter in a Precambrian shungite deposit from Karelia, Russia. Pp. 102-119 in: Glikson M., Mastalerz M. (eds) Organic Matter and Mineralisation: Thermal Alteration, Hydrocarbon Generation and Role in Metallogenesis. Springer, Dordrecht. Buseck, P.R. (2002) Geological fullerenes: review and analysis. Earth and Planetary Science Letters: 203: 781-792. Melezhik, V.A. ; Filippov M.M. ; Romashkin A.E. (2004) A giant Paleoproterozoic deposit of shungite in NW Russia: genesis and practical applications. Ore Geology Reviews: 24: 135-154. Kwiecinska, B., et al. (2007) Physical properties of shungite. International Journal of Coal Geology: 71(4): 455-461. Augustyniak-Jabłokow, M.A., V. Yablokov, Y.V., Andrzejewski, B., Kempiński, W., Łoś, S., Tadyszak, K., Yablokov, M.Y., Zhikharev, V.A. (2010) EPR and magnetism of the nanostructured natural carbonaceous material shungite. Physics and Chemistry of Minerals: 37: 237-247. Mosin, O. & Ignatov, I. (2013) The structure and composition of natural carbonaceous fullerene containing mineral shungite. International Journal of Advanced Scientific and Technical Research, 6 (3), 9-21. Vavtar, F. (1977): Drei Kupfer-Lagerstätten in den Kitzbüheler Alpen ("Brunnalm", "Blaufeldalm" und "Ottneralm") im Rahmen einer paläozoischen Genese. Veröffentl. d. Tiroler Landesmuseums Ferdinandeum 57, 153-162. Schulz, O. & Lukas, W. (1970): Eine Uranerzlagerstätte in permotriadischen Sedimenten Tirols. Tschermaks Mineral. Petrogr. Mitt. 14, 213-231. K.S. Misra of the Geological Survey of India (GSI), 3rd International seminar & exhibition on exploration geophysics in Osmania University, Hyderabad on 9th November 2006. Krupenin, M.T. (2002): Boletim Paranaense de Geociências 50, 43-50. Buseck, P. R. et al. (1997) Shungites: The C-rich rocks of Karelia, Russia. Buseck, P. R. et al. (1997) Shungites: The C-rich rocks of Karelia, Russia. Canadian Mineralogist 35: 1363-1378.